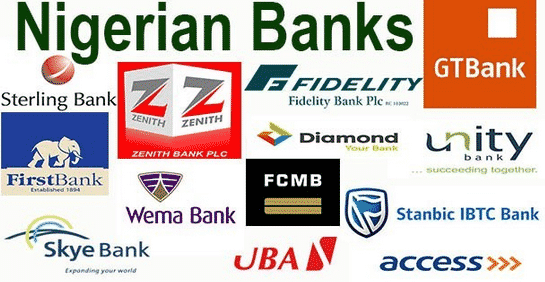 List of 25 Commercial Banks in Nigeria and Their operational Details. Nigeria has currently 25 viable commercial banks operating in Nigeria with Central Bank of Nigeria (CBN) being the apex bank or Bankers’ bank. Before Bank Consolidation in Nigeria, there are 89 Legacy Banks in Nigeria .Central Bank of Nigeria (CBN) monitors, controls and/regulates and finances the activities of all commercial banks and financial institutions in Nigeria. The consolidation of banks was in line with CBN’s directive that Nigerian banks which had no solid financial backbone should be shutdown. The result was the merger of Nigerian banks in few years ago. Banks licensed by CBN to run commercial banking services with international authorization. Commercial banking license by CBN to operate with regional authorization. Nigeria bank licensed by the CBN (having non-interest banking service) with national authorization. Example is Jaiz bank. Financial holding companies in Nigeria operating as financial institutions. Citibank: They have their headquarters at 27, Kofo Abayomi Street, Victoria Island, Lagos. They possess commercial banking license and national authorization. Ecobank Nigeria: They acquired Oceanic Bank at a point. Headquartered at 21, Ahmadu Bello Way, Victoria Island, Lagos. They possess commercial banking license and national authorization. Fidelity Bank Nigeria: Headquartered at 2, Kofo Abayomi Street, Victoria Island, Lagos. They possess commercial banking license and international authorization. First Bank of Nigeria: They are located at Samuel Asabia House, 35 Marina, Lagos. They possess commercial banking license and international authorization. First City Monument Bank:The bank acquired FinBank at a point. 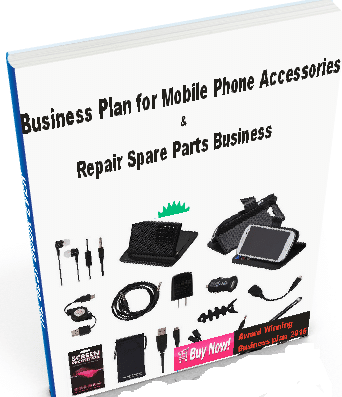 Headquartered at Primose Towers, 17a, Tinubu Street, Lagos. They possess commercial banking license and nternational authorization. Mainstreet Bank: It is a Merchant Bank. Headquartered at UAC House, 5th-8th Floor, 1/5 Odunlami Street, P.M.B 12913, Lagos. They have merchant bank license and national authorization. Guaranty Trust Bank: It is commercial bank with a difference. Its Headquartered is at 635, Akin Adesola Street, Victoria Island, Lagos. They possess commercial banking license and international authorization. Heritage Bank Plc: its Headquartered is at 292b, Ajose Adeogun Street, Victoria Island, Lagos. They possess commercial banking license and national authorization. Keystone Bank Limited: Formerly known as Bank PHB. Its Headquartered is at Keystone House, 1, Keystone Crescent, Victoria Island, Lagos. They possess commercial banking license and national authorization. Skye Bank: Its Headquartered is at 3, Akin Adesola Street, Victoria Island, Lagos. They possess commercial banking license and international authorization. Stanbic IBTC Bank Nigeria Limited: Its Headquartered is at IBTC Place, Walter Carrington Crescent, Victoria Island, Lagos. They possess commercial banking license and national authorization. Standard Chartered Bank: Its Headquartered is at 142, Ahmadu Bello Way, Victoria Island, Lagos. They possess commercial banking license and national authorization. Sterling Bank: They acquired Equatorial Trust Bank at one point. Its Headquartered is at Sterling Towers, 20 Marina, Lagos. They possess commercial banking license and national authorization. Union Bank of Nigeria: The bank is owned by Union Global Partners Limited. Headquartered at Stallion Plaza, 36 Marina, Lagos. They possess commercial banking license and international authorization. United Bank for Africa: Its Headquartered is at 57 Marina, Lagos. They possess commercial banking license and international authorization. Unity Bank Plc: Its Headquartered is at Plot 785, Herbert Macaulay Way, Central Business District, Abuja. They possess commercial banking license and national authorization. Wema Bank: Its Headquartered is at Wema Towers, 54 Marina, Lagos Island, Lagos. They possess commercial banking license and national authorization. Zenith Bank: Its Headquartered is at Plot 84, Ajose Adeogun Street, Victoria Island, Lagos. They possess commercial banking license and international authorization. Jaiz Bank Limited: Its Headquartered is at Kano House, Plot 73, Ralph Shodeinde Street, Central Business District, Abuja. They have non-interest banking license and national authorization. It is the first and only non-interest bank in Nigeria. FCMB Group Plc: Its Headquartered is at First City Plaza, 44 Marina, Lagos. They possess commercial banking license and have financial holding companies in Nigeria. FBN Holdings Plc: its Headquartered is at Samuel Asabia House, 35 Marina, P.O. Box 5216, Lagos. They have financial holding companies in Nigeria. Stanbic IBTC Holdings Plc: Its Headquartered is at I.B.T.C Place, Walter Carrington Crescent, P.O. Box 71707, Victoria Island, Lagos. 22. Zenith Bank Plot 84, Ajose Adeogun Street, Victoria Island, Lagos.